South Korean shipbuilder Hyundai Samho Heavy Industries (HSHI) has won a $ 200 million contract for the construction of a 174,000-cubic-meter LNG vessel for NYK Line, said a report in Yonhap. 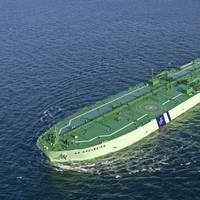 HSHI is set to deliver a carrier that can hold 174,000 cubic meters of LNG to Japanese shipping company by 2020. The report said that it marked the first time that Hyundai Samho Heavy Industries has won an order from a Japanese company in 13 years. This year, Hyundai Samho Heavy Industries, an affiliate of Hyundai Heavy Industries (HHI), won orders to build seven vessels. SVEZA Ust-Izhora plywood mill recently obtained the GTT (Gaztransport & Technigaz) Approval confirming compliance with specification of containment system for liquefied natural gas carriers. SVEZA Group is a leader in birch plywood production, and it reportedly has become the first Russian domestic producer certified to deliver to LNG-carriers manufacturers. 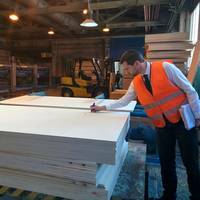 The company's target is to gain at least a 30% share of the market with the estimated annual volume of 60,000 cubic meters of plywood. SVEZA Group has become the fourth company in the world certified by GTT. 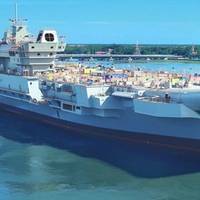 India’s biggest shipbuilder under state control, Cochin Shipyard Ltd (CSL) is looking to file documents for its initial public offering (IPO) with the markets regulator by the end of this month, reports Live Mint. According to sources, CSL is all set to file documents for its IPO of Rs 600 crores ($90 million) with the Securities and Exchange Board of India (SEBI). The plan is part of its effort to expand and construct larger vessels and also undertake ship repair and fabrication. In addition, the government will sell 10% of its stake through the IPO. 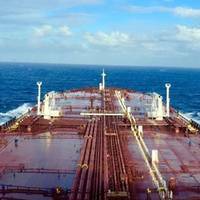 China's largest shipping company by fleet size China COSCO Shipping Co has officially launched COSCO Shipping Energy Transportation Co in Shanghai on Monday, creating the world's largest oil tanker fleet in terms of both ship numbers and deadweight tonnage, says a report in China.org.cn. 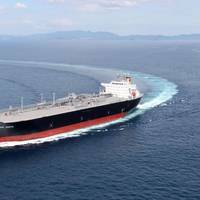 With a total of 105 oil tankers, including nine liquefied natural gas carriers and a deadweight tonnage of 17.04 million, the new company has the world's biggest fleet of oil tankers and the largest transport capacity of its kind. Hyundai Heavy Industries Co. (HHI) struck a $400 million worth deal to build two liquefied natural gas (LNG) carriers for SK Shipping Co., a Korean shipowner. According to the sources, the vessel can carry 180,000 cubic meters of LNG. The vessels will be delivered starting in the first half of 2019, the sources said. Meanwhile, a press release from the French LNG containment specialist GTT said that it has received an order for two new LNGCs (Liquefied Natural Gas Carriers) for HHI. The vessels will be built at Hyundai's shipyard in Ulsan for SK Shipping. Delivery is scheduled in 2019. Drop in commodity prices has slashed global demand for bulk carriers, pushing shipyards out of business, says Chinese news agency Caixin. Huai Jinpeng, a vice minister from the Ministry of Industry and Information Technology, which oversees the sector said that the industry is plagued by excess capacity even after many large private ship makers have gone bankrupt or stopped production. China alone will build ships with a total carrying capacity of 80 million tons next year, equal to the forecasted increase in global demand, estimates from the ministry showed. ABS has been selected to class two Liquefied Natural Gas Carriers (LNGCs) for SK Shipping, featuring the KC-1 cargo containment system (CCS). The agreement brings to five the number of LNGCs to be built to joint ABS/KR class for Korea Gas Corporation (KOGAS), the world's largest LNG importer. "ABS has a long association with South Korea's shipowners and shipbuilders and has supported them as they push the development of ships and systems to new levels of innovation and efficiency," says ABS Chairman, President and CEO Christopher J. Wiernicki. 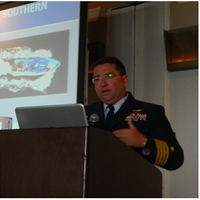 Maritime security experts from federal, state and local jurisdictions are meeting in San Diego this week as part of Maritime Security 2015 West. Attendees from Turkey, Japan, United Arab Emirates, France, U.K., and New Zealand joined participants from across the U.S. and Canada to examine challenges and share solutions. A special tour of the Unified Port of San Diego was conducted to offer a glimpse behind the scenes of some of the port’s busy terminals handling commodities ranging from soda ash to bananas to automobiles. GasLog Partners LP and GasLog Ltd. announced today that they have entered into an agreement for the Partnership to purchase from GasLog, the sole member of the Partnership’s general partner, 100% of the shares in the entities that own and charter the Methane Alison Victoria, Methane Shirley Elisabeth and Methane Heather Sally, for an aggregate purchase price of $483 million (the “Acquisition”), which includes $3 million for positive net working capital balances to be transferred with the vessels. Bestobell Marine, part of the President Engineering Group (PEGL), has received an new order to supply its globe and check valves for Japan’s first high pressure fuel gas system that will be installed within a marine vessel. 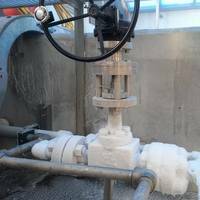 The order will see Bestobell Marine supply a number of its cryogenic globe and check valves to be installed in two sister ships being built by Imabari Shipbuilding Group in Japan for Elcano. 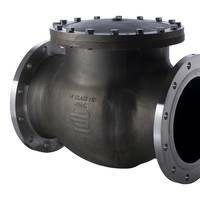 Bestobell Marine’s valves are required for the carrier’s MAN ME-GI engines, where natural gas is injected into the engine at over 300bar pressure. Gaztransport & Technigaz (GTT) informs it has signed a cooperation agreement with the South Korean shipbuilder Samsung Heavy Industries to industrialize its new Mark V technology, adding that a second agreement is also being finalized with Hyundai Heavy Industries. These two partnerships will allow the commercialization of GTT’s Mark V technology during 2015, GTT said. The agreement includes the building by the shipbuilder of a mock up dedicated to final developments and related tests. Philippe Berterottière, chairman and CEO of GTT, said, "These agreements illustrate the quality of the partnership we have with the shipyards and high trust they give to our technologies. The widened Panama Canal is expected to finally be up and running in April 2016, after months of delays and cost overruns, AFP reports. The expansion project area will allow bigger ships to transit, with two new sets of locks, one on the Pacific side and one on the Atlantic side. Grupo Unidos Por el Canal (GUPC) is carrying out the extensive upgrade to the canal's system of locks, to allow the waterway to accommodate ships carrying up to 14,000 containers of freight - triple the current size. Japanese market players ramp up their design efforts for fuel-efficient engines to challenge Korean yards as demand for super-cooled fuel is set to soar, says a report in South China Morning Post. A total of 50 to 60 LNG ships annually are forecast to be delivered globally in 2017 and 2018, aided by US shale export projects, according to an estimate by analyst Masanori Wakae at Mizuho Securities. Of the total, 12 to 15 ships may be delivered by Japanese suppliers, with the remainder likely to be supplied by the Koreans. Yangzijiang Shipbuilding (Holdings) Limited “Yangzijiang” or “the Group” one of PRC’s leading and most enterprising shipbuilder listed on the SGX Main Board, is pleased to announce that the Group has secured new shipbuilding orders from JHW Engineering & Contracting Limited, a subsidiary of JACCAR Holdings, the company that owns EVERGAS, a world leader in ethylene and ethane gas transportation, to build two 27,500CBM LNG (Liquefied Natural Gas) carriers. With downpayments duly received, the two LNG vessels worth US$135 million are now effective orders and included in Group’s order book.